Home to numerous mosques and temples, Kuala Lumpur is a city full of history. In Malaysia‘s capital city, there’s the chance to explore many mosques, Buddhist temples, Hindu shrines and churches. The local culture and the art scene are fully incorporated into these temples; each one boasts a unique and spectacular design. Be sure to check out this list of the most beautiful temples in Kuala Lumpur. 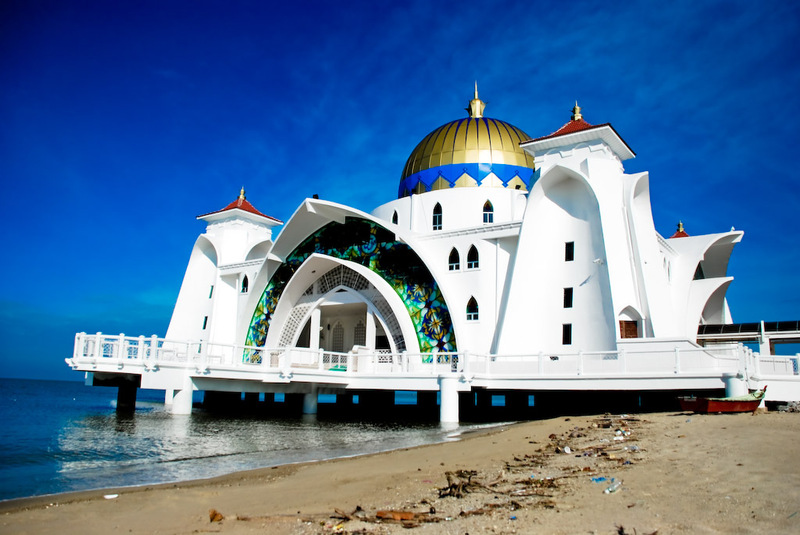 The Malacca Straits Mosque is located on the manmade Malacca Island. The mosque was built so that when the tide is at the right height it looks as though it is floating on the ocean. The mosque is fairly new as it opened in 2006, but it is certainly a sight to see, especially when it is fully lit up in the evening. Though the mosque is not in Kuala Lumpur, it is a must see when in Malaysia. 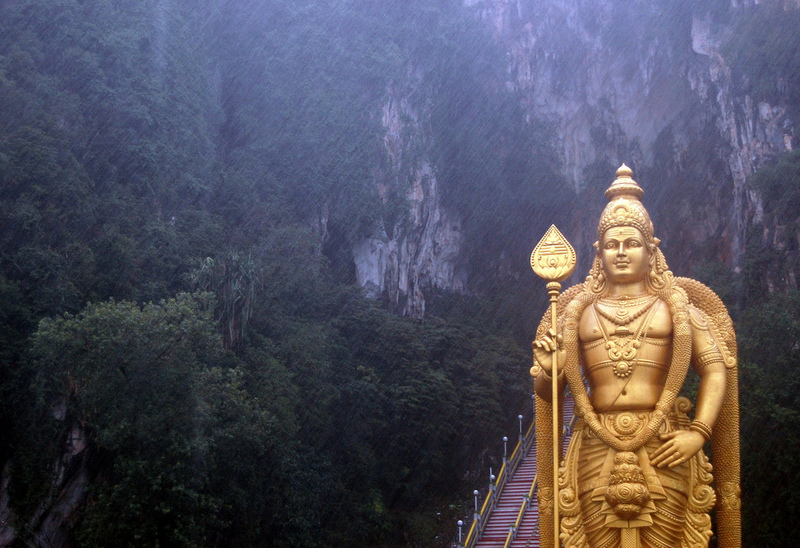 The Batu Caves are a popular tourist attraction in Selangor. Just located to the north of Kuala Lumpur, the Batu Caves have three main caves featuring different temples and Hindu shrines. The main attraction is the large statue of a Hindu god before the stairs. Behind the deity are 272 steep steps leading visitors to the stunning skyline of Kuala Lumpur’s city center. To witness some frolicking monkeys and a glorious view, be sure to check out the temple. 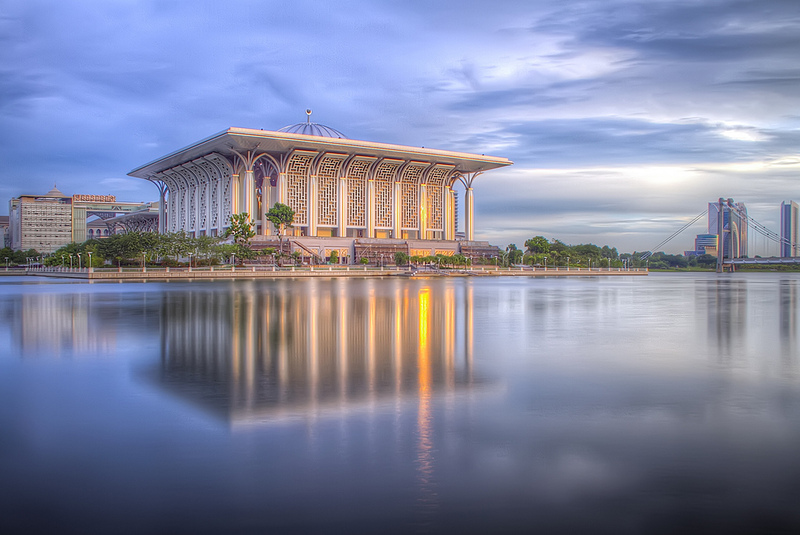 The Tuanku Mizan Zainal Abidin Mosque, also known as the iron mosque because of its steel design, is located in Putrajaya. The mosque was officially opened in June 2010 and is meant to cater to approximately 24,000 people at a time. The Iron Mosque features a strong glass and steel design and is the most distinctive landmark in the area. The interior is decorated with verse 80 of the Quran and adorned with fountains and gorgeous design, the Iron Mosque is absolutely stunning to see. 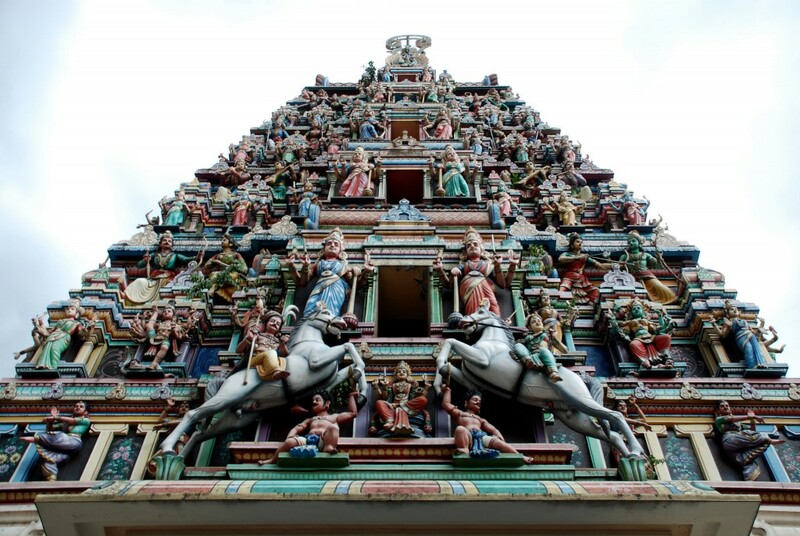 The Sri Mahamariamman Temple is Kuala Lumpur’s oldest Hindu temple. Founded in 1873, the beautiful temple sits at the edge of Chinatown. From its very beginning, this temple has been an important place of worship for all of the Indian immigrants and it is now an important cultural and national heritage site. The temple is extravagantly decorated with precious stones, gold and Spanish and Italian tiles in its design. The main half, which is for prayers, is richly decorated and it is where three shrines to different deities are located. This six tiered Chinese temple in Kuala Lumpur has become a landmark. It was built in the 1980s and features three Chinese goddesses. The temple incorporates elements of Buddhism, Taoism and Confucianism and is incredibly large in its structure. It has become a popular tourist destination due to its imposing pillars, huge roofs and ornate carvings. The front entrance of the temple is a multi-arched gateway with red pillars to symbolize prosperity and good fortune. 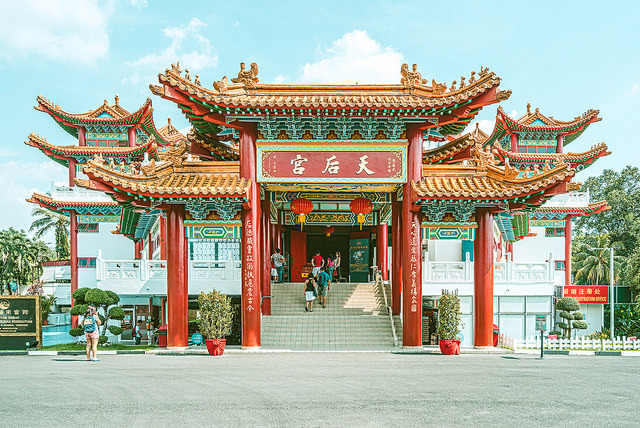 The Thean Hou Temple also offers fortune telling and holds cultural activities throughout the year, like the Mooncake Festival and Chinese New Year.